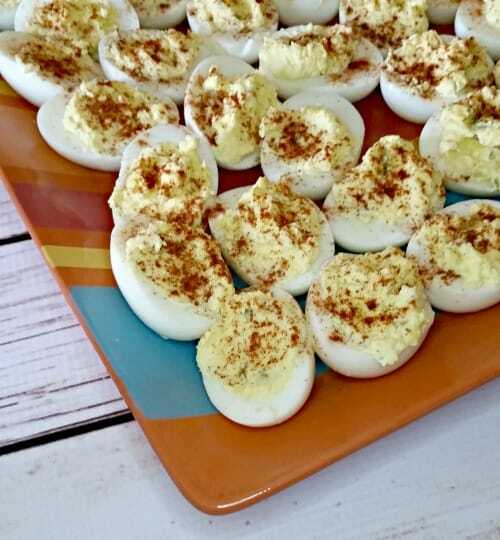 I have one thing I am always responsible for making at my family gatherings, this Southern Style Deviled Eggs recipe. I have been making them since I was a teen and they are always a hit. There are never any left when the dinners are over. 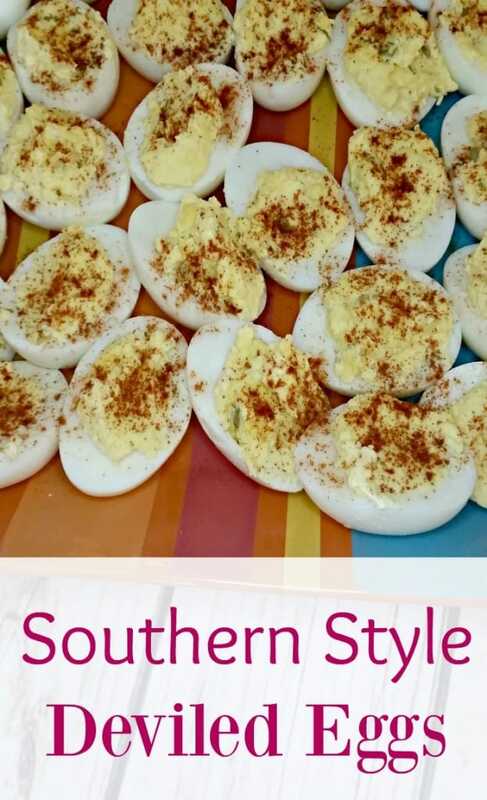 I wanted to share this Southern style deviled eggs recipe so that you can make them for your family. I always make these for Easter, Thanksgiving, and Christmas dinners. I have to double this recipe because our family dinners have become more like family reunions. There are over 40 of us now! I am very blessed to have such a large family so I don’t complain about the extra cooking! Like any kind of deviled egg recipe, this will stink up your house for a little while. I just usually have a candle or wax melt burning to make it smell nicer. 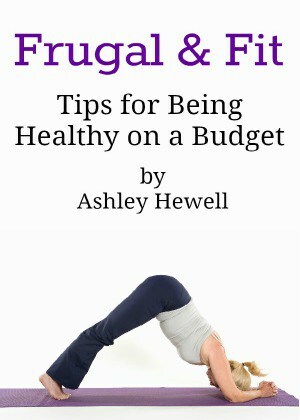 On a side note, if you are going to be making a lot of these and traveling, I highly suggest getting an egg carrier. I have one and it has made my life so much easier. I don’t have to worry about them sliding all around the plate. This recipe will make 24 eggs, feel free to half it or even double it if you have a big family like mine! Remove shells from the hard boiled eggs and cut the eggs in half. Remove all of the egg yolks and place in a bowl. Lay the egg whites on a large plate or baking sheet. Using the back of a fork, smash all of the egg yolks until they look like little crumbles. Add the mayonnaise to the yolks and mix well. Add the sweet salad cubes to the yolk mixture and mix well. If the mixture looks too dry, you can always add a little bit more mayo. Add salt and pepper to taste. Scoop the mixture into each egg white. If you want it to be pretty, you can always pipe the mixture in using a plastic bag with the tip cut off. Sprinkle the deviled eggs with paprika. That’s all there is to this Southern style deviled eggs recipe. The worst part is peeling all of the hard boiled eggs but my daughter thinks it is fun. I hope your family likes these Southern style deviled eggs as much as mine does. They make a great addition to any dinner.